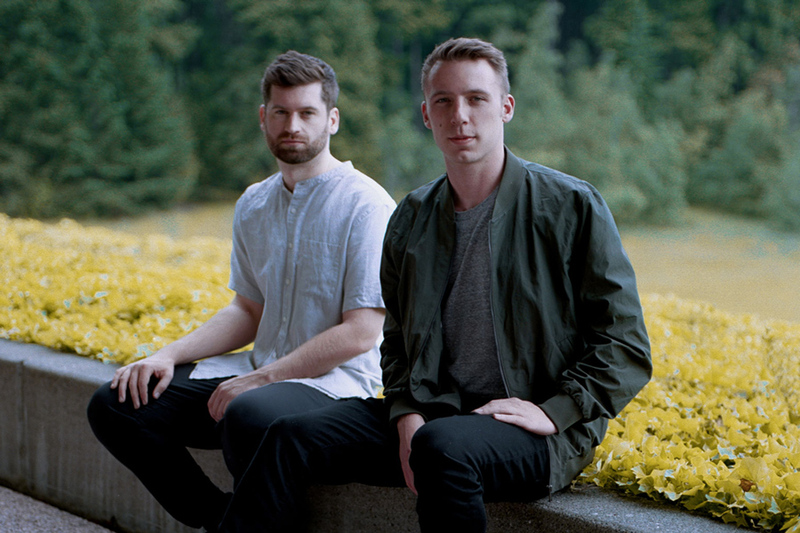 The journey of Washington duo ODESZA is one coveted and hoped for by every hopeful bedroom producer. 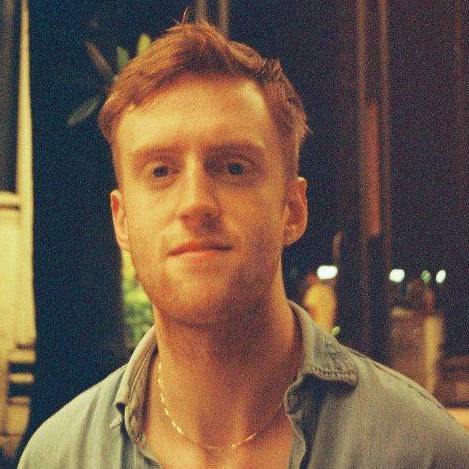 After finishing their studies, Harrison Mills and Clayton Knight got to work on their acclaimed debut Summer's Gone, which forcefully announced their breezy but impactful sound as they hit the road and quickly gained momentum online. Support slots soon turned to headline tours and a second album, In Return, which melded their blissful, vocal sample-lead sound into far more cinematic but accessible depths, shooting Mills and Knight up festival bills and pushing ODESZA's name to the fore. 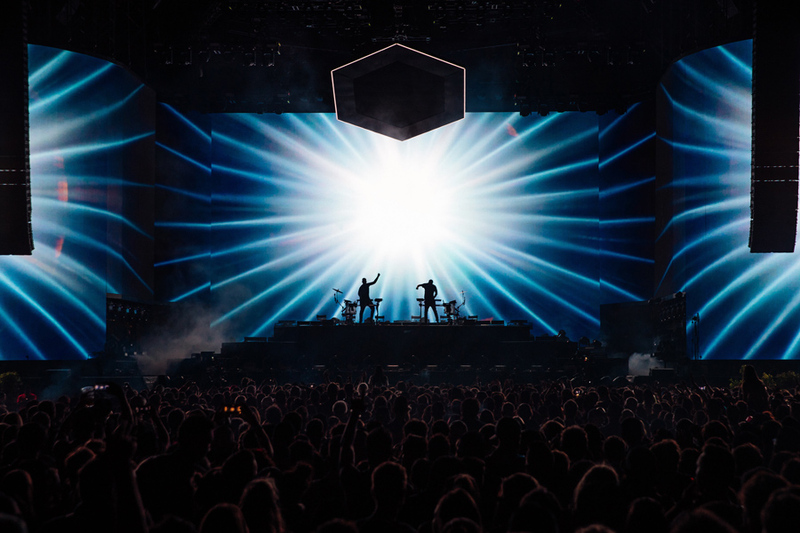 It was 2017's A Moment Apart, however, that confirmed the duo's right to the upper echelons of a stadium act, culminating in their famously epic performance at Coachella 2018. As they themselves put it to Billboard once, 'We graduated college and went on tour and almost never came back'. As the cycle for A Moment Apart finally draws to its close, the duo return to Europe to give it one more breath of life this side of the Atlantic. We spoke to Knight about their evolution, the importance of keeping a connection, some of the pair's wider projects and of course that Coachella performance. You've both grown pretty rapidly within the last five or six years, from sleeping in the back of a van on your first tours to these mammoth spectacles of shows, and of course Coachella. There must have been so many landmark moments that stopped you in your tracks and made you think 'wow, things have really changed'. I was just wondering if there are any particular moments like these that you can recall? I mean Coachella is of course one of those, that was definitely one of the more nerve-wracking shows; the tension leading up to that was pretty palpable. But I think Fuji Rock was also a really strong one for us. We came out there with the whole production and we had never been to Japan and to have that reception, to see an audience so far away from us was pretty awesome. Those two stick out the most to me, but the entire tour that we did in the States was unbelievable. Having the fans that we do and the support that we have... well, we have no complaints. Coachella took quite a bit of time, probably six months from start to end. They tell you about a year in advance that you're going to play at roughly this time, they don't give you the exact spot or stage, but they give you some outline. So we basically started about what we wanted to do and how we wanted to make this special. We went through a bunch of different iterations of the show. Harrison and I worked with two of our really close friends, Sean Kusunagi and Luke Tanaka to build the visual and production aesthetic around the music. So Harrison and I spent a lot of time helping to get the set built audio-wise, and then take the first draft to them; I think what was helpful in separating our set from the other acts was spending a lot of time building the audio with the production in mind and vice versa. So building those simultaneously and giving the production team a finished set, they were able to come back to us and say for example, 'what if you just did this little glitch sound here, and we could do this light shimmer here'; you can really build these interesting moments that create a unique experience. But it does take a lot of time and, like you said, a lot of back and forth. Yeah, I mean you must have felt this massive weight on your shoulders, not just because of the massive crowd but because of all that time and effort put into it. Were you any more nervous than you would have been at a normal show? Yeah, I mean Harrison basically had a heart attack, because there was some wind that showed up right before our set. We were hanging a bunch of stuff and there was this very strong wind. They have this limit which if exceeded they have to basically bring everything down, and our show had so many moments that were relying on some of these production elements. So yeah, it could have gone a lot differently but we're just glad everything worked out. What kind of story were you trying to tell in the show? You talk in the video about always wanting to tell a story with the visual element, what was it at Coachella? It's about perspective a lot of the time. We love to create these moments in a set and that's how we design them, we'll spend about 10-15 minutes of the set building it around, and up to, this one moment where the production and the music align in a certain way, and that's what we aim for, that overarching arc that will build up and peak. They're waves throughout the set that keep people interested. You mentioned earlier the reception from your fans. You do seem to have this profound adoration, with people admitting that your music has got them through dark times and that it has a therapeutic element to it. Is that something you try and keep mind of, or do you just try and focus on what you're there to do. You know what? More and more so these days, because when you're making the music, especially with this last album, you're not sure how you're going to connect. You always have your doubts of what's going to work and if anyone's going to like this kind of thing. But then you do these shows and meet and greets and hear how much the music's helped people, and hear how much it's connecting, and that's really the most important thing. The big single or the big hit or the big streaming numbers are obviously important but at the end of the day it's all about making those connections. That's something we've really attached ourselves to throughout this album cycle. Yeah, because I imagine conversely as the shows get bigger it must get harder to cultivate that attachment. The bigger the sets are, the more detached – at least in a practical sense – you are in that performance space. Exactly, and that's actually why we love coming to Europe and Asia. It takes us back a few years, as we don't have quite the same scale of slots and billing that we do in the US, but it's fun to go back and connect with the fan base; after doing it first in the US, to do it all over again is really interesting and fun. We've been trying to some more intimate shows in the US, like our New Year's Eve show with intimate production – keeping it close knit and bringing people closer together in that way. Well that's really interesting, I've always been curious with acts like yourselves – when at some point along the trajectory of your career this strong visual and cinematic identity springs up, your performances and artwork are almost intertwined. Even though the effect may be phenomenal, do you ever feel confined in that respect? Because it's almost like you've set yourselves a precedent now; when your primary art is your music, I just wonder if that can ever be an anxiety? Oh, for sure, it's always something at the back of the mind. Being aware of balancing both worlds and not overthinking too much is a good goal, because you can get too internal and make things more complicated than they need to be. Especially staying offline; you know with the way social media works, a comment here and there can really mess with the mindset and you just have to take a holistic picture and take a step back and rearrange your perspective of it, to sit in a world where you're comfortable and making the art that you want to make, you know? Definitely, but do you try to separate these two elements when you're writing, or do you find them intertwining at the same time? No it's definitely something we try to think about quite often, and that's why we approach the live set as its own thing and the album as its own thing. We'll go back and basically revamp all the music on the album and all the music from previous records for the live sets. So we have a lot of what we call 'VIP Remixes', basically reinterpreting them to fit in that visual context a little more. It's kind of its own project – you write an album and then writing another album for the live show, so it's kind of more work, but it's really paid off and made our set unique in its own right. I read that you often get inspired by film and the special moments in your favourite films, and that's something that you try to create in your music. How do you go about creating something so abstract as this kind of feeling? There's always some sense of a buzz that's created when an initial idea make sort of connection and whatever you're taking influence from you can feel it. There's something in the first half of a track or something, that initial idea or feeling, you kinda know already. Whereas if it's something we've been working on for a long time and it's still not feeling right or giving you that buzz, or you're not excited to go back and listen to it, then that's something we know is not working or isn't the best idea. Being aware of those influences and processes as you're writing is really important and that's something we've really connected to: don't try to force something that's not working, take a step back and remember why you liked it in the first place and try to reignite some passion in another direction. With such busy schedules I imagine it's hard to find these inspirational moments, though? Well we love travelling, and really seeing these cities of culture. I've become a real fan of language, it's something I've connected with that I hadn't done in the past. So really plugging into those cultures has become a really unique experience for us and something we love to do. A Moment Apart is incredibly rich and dynamic, and I imagine it would have been a lot of fun creating it. I like the different changes in styles and pace, like on 'Across The Room' with Leon Bridges, but also this range in textures and recording styles you have. 'La Ciudad', for example, you've got this forceful synths but also these claps that sound like they're in the room next to you. What did you enjoy most about the whole recording process of the record? Well there's a couple of moments where you're writing the tracks where you think 'OK, there is something here'. I remember hearing 'La Ciudad' and writing that piano line for the first time and hearing it coming together with the beat and getting that buzz off of it. Writing 'Corners Of The Earth' too; we actually finished writing that track near the beginning of the record and it became kind of an anchor point for the cinematic, orchestral and grand level we were trying to go for. And then of course, working with Leon Bridges. What a highlight. He's such an amazing artist. RY X is absolutely insane, and then Regina [Spektor] too. All the artists that featured on the album we've become really close with and learned a lot from. We just learned so much through this process and we get so many new ideas until we think we just want to freak and change and approach things differently. That's been a really big part, going back into the studio now that we're approaching the end of the album cycle, and we're pumped to get back into the studio. I suppose it's healthy in a way to use all this time when you're playing this album every night to let it evolve in a way, otherwise I imagine it must be hard to stay in love with it. For sure, for sure. That's one of the bigger tests of a song – if you can tour it for a long time and not be completely sick of it then you have something. But yeah, it's a process, and we're excited to come back over to Europe and play some shows, we have a few new things lined up. Yeah definitely, and I think the initial take when we started the label was that path. These days now that we're looking at new music and trying to diversify the label, I think that thread may change a little bit or will create a wider palette of music as the label grows. And yeah, when we first started the label it was kind of symbiotically related to the ODESZA project, and now we're trying to separate them and give Foreign Family to all as a platform to be on top, because there are so many great artists we don't want them to being overshadowed by some ODESZA project or some other side piece, because they deserve a life in their own right. And that's been the next step, to detach the two worlds in some way and show how there is so much beauty and talent – in their own right – that you don't need us telling you to listen to it, basically. Down the line we'll be releasing music on the label ourselves, especially during the writing time when we're off the road and get to listen to a lot of music, and go to a lot of shows and meet great artists. And of course you have the Sundara Festival in Mexico coming up. How did that come about? So hopefully we can continue to do it, we'd love to do one domestically, or anywhere, so we'll see how it goes. We have a lot of stuff we're very excited to try out; we're basically redesigning our set just for that. We're actually in the process of designing a bunch of new music to sink into it and a bunch of new production. We're gonna save it for that to make sure it's a special and unique experience. ODESZA play Le Zénith, Paris on 25 Jan. Tickets and more information are available here. Josh Wink: "Music isn't tangible anymore. It's instant and disposable." Roger Sanchez: "So much techno nowadays is just house music called by a different name"
Moonbootica: "It’s the same old boring cycle..."
Norwood: "Working under a moniker allows me to experiment without any preconceptions"
Perc: "I don't want techno to be seen as angry, dark, male music"
Eats Everything: "I do eat almost everything"